Last September 20th and 21st Mak-ER attended the 5th Annual New York World Maker Faire (http://makerfaire.com/new-york-2014/) at the New York Hall of Science! This was the first time for the digital manufacturing network of Emilia-Romagna abroad. 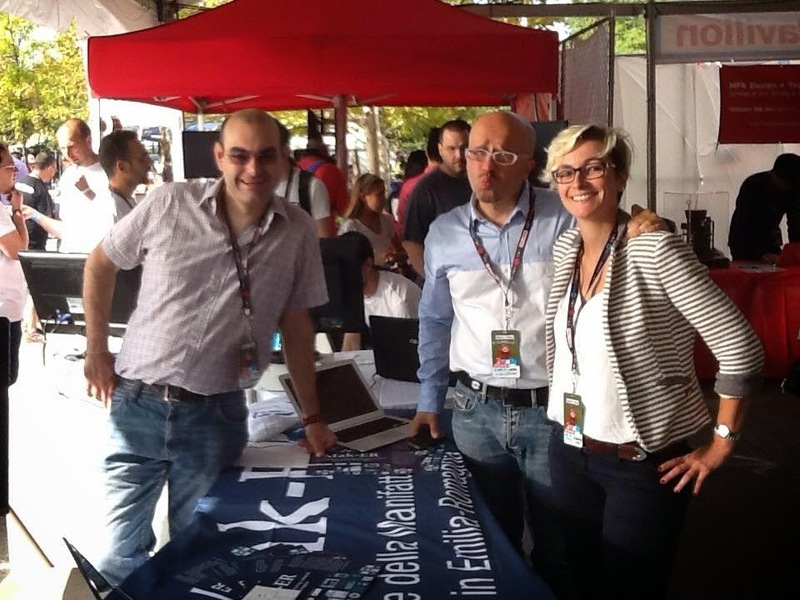 We represent the first regional network about fablabs and maker spaces in Italy (we guess worldwide..) and Italian Trade Agency of Chicago decided to host us at the Maker Pavilion in New York, within the Makers Italia booth. The faire was amazing! The so-called makers have demonstrated their skills and creativeness in a two-day exhibitions and experiments that has involved not only an audience of experts. Families, technicians, talent scouts, philanthropists and visitors have wandered the stands outside and inside the New York Hall of Science always finding something incredible. Those who definitely have enjoyed the most were the kids, who between 3D printers, electronics workshops, robotics and mechanics could build up and bring home the gadgets that they preferred. At the Maker Faire, among the schools, there was Marymount School of New York, a girl school located a few steps from Central Park and that we had the chance to visit, together with its fablab (the only fablab in New York City). Mak-ER space was surrounded by other Italian “makers”: CNR Institute of Industrial Technologies and Automation and its new prototype of a low-cost upper-limb rehabilitation device; Smart-I, an innovative start-up which has developed a new intelligent system designed to reduce energy consumption for public lighting; Roma Makers, with Falla 3D, the first Open Source 3d Printer using a magnetic levitation system and other very interesting projects. It was the place to be and we had very good interactions with other makers, institutions and enterprises. Italian Trade Agency demonstrated great interest in the digital manufacturing field and the maker movement, considering the advanced manufacturing and the possible interactions with fablabs and makers a focus for their future policies. A challenging starting point for Mak-ER who moved from New York to Rome in a week…..